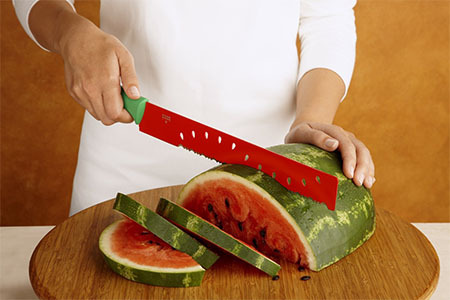 This watermelon knife cuts watermelon! Then again, so does any other knife. The same company sells a cantaloupe knife and a pineapple knife, which are almost identical to the watermelon knife. But why spend $19 when you could spend $57? !